DuoDERM Extra Thin Dressing is a hydrocolloid dressing indicated for the management of lightly exuding wounds. 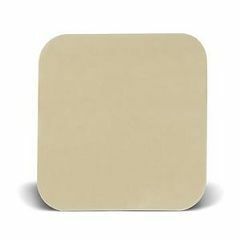 It combines a unique ConvaTec hydrocolloid formulation that distinguishes it from other hydrocolloid dressings and a vapor-permeable outer film to provide an occlusive moist environment. This product does not contain latex. Effective. Easy To Use. Promotes Healing. Safe. Effective. Easy To Use. Safe. Promotes Healing. Blood sugar has risen . My blood sugar has risen 40 points since wearing a DuoDerm CGF patch over the last two weeks. Perfect for what is needed. Effective. Easy To Use. Safe. Promotes Healing. Keeps would clean. Keeps wound clean. Keeps wound clean. Keeps wound clean. Keeps wound clean. Give this a 5-star rating. Long Term Use. Keep In The Medicine Cabinet. Keep In The Trunk. Outdoor Activities. Emergency Preparedness. Quick Fix. I have used this on on open wounds not only to promote healing, but using this seems to minimize any scar afterward. I prefer it on wounds instead of a bandaid because it can stay on longer and does not come off in the shower. I love the fact that it is SO thin! Used on pressure sores that would not readily heal. Other dressings were thicker and irritated the skin around the dressings. The thinner edge of the ultra-thin is less irritating to surrounding tissue, but still thick enough to protect the tissue under it. It can stay on more than one day, which is also helpful in allowing the underlying tissue to heal. When shall we use it if my grandmother have bedsore wounds. You can use it in several ways. If the skin is starting to look broken down you can use to it try and prevent a bedsore. If she already has bedsores, the duoderm is great for over the wound. You should clean the area with normal saline and use whatever ointment or treatment your doctor has prescribed. The duoderm seals the area and protects the skin to allow it to heal. It can be kept on for up to five days which allows the skin underneath to heal. We apply before skin breaks and use until it clears. If there is potential for continued pressure we use Aquacel over sore and under DD. Change ea 5-7 days. At the first sign of a bed sore also be very alert to a sore because they can grow very big very fast. No, don't use it in a bedsore. The DuoDerm is for small wound. For bedsore use Lantiseptic Skin Protectant. Apply a lot "thick paste" on it. how do you use Duoderm?? We use Duoderm to make a dressing to protect our son's nose from skin breakdown from equipment used for breathing treatments. Duroderm can be placed over special ointment covering a wpund or by itself. Can be left on for as many as 5 days. Slowly peek off to avpid skin tears. how do you use DuoDerm extra thin cgf dressing? Do you apply directly to open wound? How do you prep the wound? You prep the wound by using saline with a gauze to cleanse it. You can then apply the duraderm directly or over a specific cream ect you use.